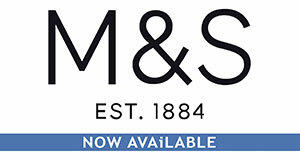 Moo Free Chocolates is now available in premium retailer Marks and Spencer in over 400 foodhalls across the UK. Quality and ethics-focused manufacturer Moo Free Chocolates has partnered with premium retailer Marks and Spencer to launch three popular free from, vegan ‘milk’ chocolate bars into 413 Foodhalls. Moo Free’s debut in their Foodhalls allows Marks and Spencer to take advance of the quickly growing interest in veganism in the UK. The three newly-launched products are the Bunnycomb and Minty Moos bars – part of Moo Free’s fun, vibrant Mini Moos range – and their 100g sharing Organic Original bar. The demand for Moo Free’s free-from, vegan chocolates has grown rapidly since its founding in 2010 with their chocolates now available in the UK’s leading multiples, including M&S, in all great UK independents, and in over 38 countries. The launch in M&S continues Moo Free Chocolates’ impressive growth, which is due to both its quality chocolates and its award wins – including the Queen’s Award for Enterprise: International Trade and, for the sixth time in 2018, Best Vegan Chocolate at the VegFest Awards UK. This entry was posted in News and tagged Food & Drink Products. Bookmark the permalink.